Is SaaS software good for small startups? This was the title of a series of posts on the CFO centric website Proformative.com. 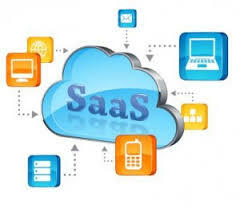 SaaS, which is Software as a Service is the newest tweak to the computer world and Internet. Wikipedia defines SaaS as “…sometimes referred to as “on-demand software,” is a software delivery model in which software and its associated data are hosted centrally (typically in the (Internet) cloud) and are typically accessed by users using a thin client, normally using a web browser over the Internet. Whether you move to a SaaS model or not, before you purchase any software which will be used as a mission critical backbone to your business a full needs assessment should be made and then used as a litmus test of what he software package provides or does not provide based on that needs assessment. Remember, as in all relationships (and living with a software package is a relationship) compromise is necessary.